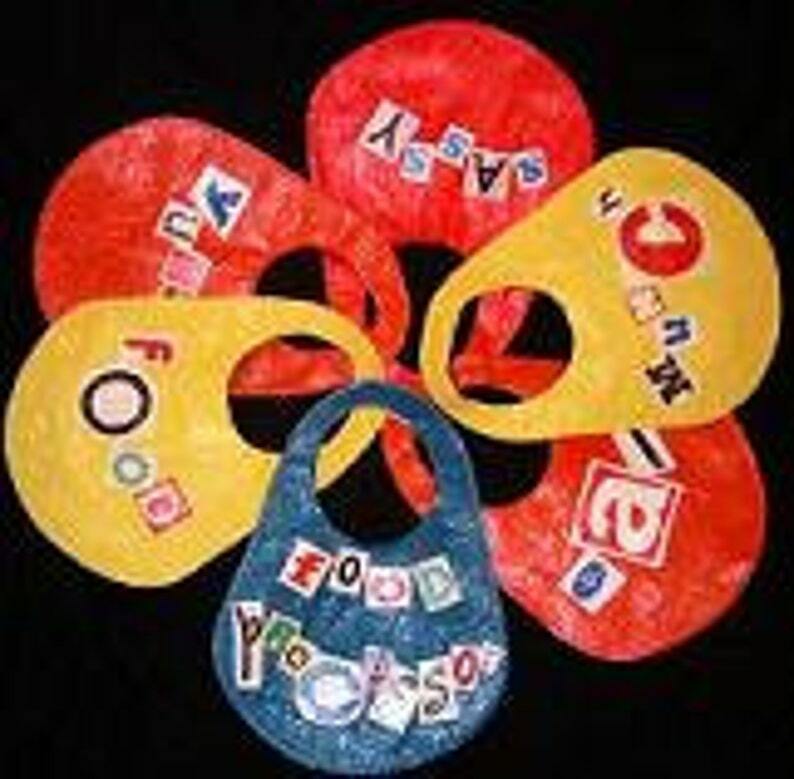 Protect your little one during meal time with this colorful bib made entirely of easy to clean, fused plastic. This bib has a velcro closure and is decorated with a variety of letters cut and fused from logos printed on plastic bags, made to order with the word and background color of your choice. Base price Chest coverage, approx. 8"x10"